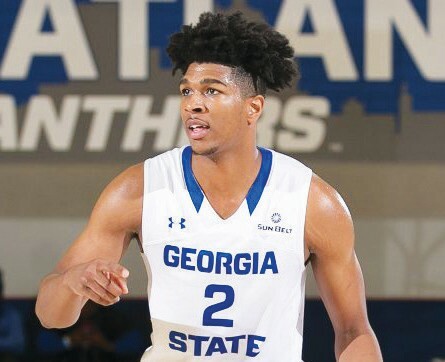 Savannah native Malik Benlevi became the 22nd player in the history Georgia State University to score 1,000 career points on February 28 when he helped the Panthers defeat Arkansas State 76-60 in the GSU Sports Arena. In the win over the Wolves, Benlevi had 10 points and six rebounds. The Jenkins High grad was happy to accomplish this but added that the team goal is to earn a NCAA Tournament bid. During the game, the 6-foot-6 senior also made two 3-pointers. At press time, Benlevi has made 173 career three-pointers and is currently ranked number seven is GSU history. GSU head coach Ron Hunter was proud of his starting forward. Benlevi, who turns 22 on March 20 is averaging 11.7 points and 5.4 rebounds per game while shooting 48 percent from the field while making 41 percent of his 3-point shots. He is the son of Gladys Benlevi and Mark Smalls. 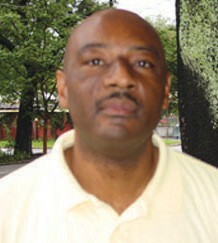 The Savannah State men’s and women’s basketball teams lost a double header to visiting Howard on March 2. It was the last home game of the season for SSU. The Savannah State women fell 106-70 while the Tigers suffered a 81-76 setback. In the women’s game, freshman Le’Andrea Gillis scored a career-high 26 points for SSU. The former Treutlen County star also had eight rebounds and five assists.Myasia Jones added 17 points, six rebounds and four assists while Robbi Allen chipped in 10 points off the bench. Jones and Allen are also freshmen. Sophomore Alexxus Sowell had 13 rebounds. Playing his last game in Tiger Arena senior guard Zaquavian Smith burned the nets for a career high 21 points. Jaquan Dotson added 17 points and 15 rebounds while Zach Sellers and Romani Hansen chipped in 11 points each for the SSU men. Savannah State will finish up the regular season on March 7 with a trip to Orangeburg, South Carolina to take on South Carolina State. SSU will make their last appearance in the MEAC Tournament which will be held March 11-16 in Norfolk, Virginia. Savannah State began their 2019 outdoor track season by hosting the annual Eye Opener Track Meet which was held at TA Wright Stadium. The meet drew teams from across the state of Georgia as well as schools from the Carolinas, Alabama and Florida. The SSU women won four events at the meet. Jaylen Sewell won the 100m hurdles and the 400m hurdles while Carlandra Jones captured the 400m race and Kanani Lodge claimed first place in the javelin event. The Tiger men failed to win any events but they did place second in three events and third in five events. Iverson Darius (200m), Terrance Sessoms (800m) and Atakilti Sahlu (5000m) placed second in their events while Carlous Bartee (100m and 200m), Andre Valcin (400m), Suhieb Mohamed (5000m) and Tracy Gatson (long jump) had third place finishes.